Road trips are one of the best ways to travel. If you’re lucky enough to live in a country large enough for road trips, you should definitely make use of this form of travel. There’s nothing better than the freedom of being on the road, driving for miles and miles, and discovering interesting new places and people. As fun as road tripping is, it does take some sort of planning. Where should you stop? What’s there to see on the way? Where should we eat? How much will it cost? Where should we stay? All these questions should be answered before embarking on a road trip. 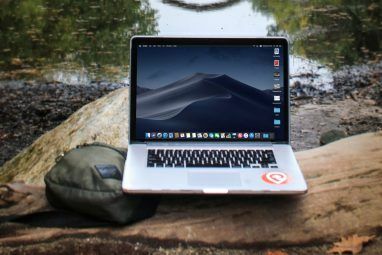 Here are 10 excellent websites which will help you answer these questions, and plan a wonderful and enjoyable road trip. Plan-Your-Trip helps with planning fun road trips in the US and Canada. The site features a website planner which seems to have been built in the 90s, but nonetheless provides some very useful information. You can starting building your trip leg by leg, and for each leg find attractions, camping grounds and accommodations. If you plan on crossing the boarder during your road trip, you can use the tool to plan trips that span both Canada and the US in one go. Road Trip USA provides 11 complete road trip routes to choose from, all features on a colorful map. All but one of the trips are USA only (border to border trip includes the Canadian Rockies). Each trip contains loads of information regarding the route itself, roadside attractions divided by state, and detailed maps. Even if you want some more flexibility and don’t want to use a ready-made trip plan, Road Trip USA is an excellent source of information which you can use to plan your own trip. Planning Fun Road Trips is an informational website aimed at providing general road trip knowledge. The site includes many useful road trip articles, and is a good place to start if you’re simply looking for general information on road trips, no matter where. Here you will find tips on various topics, such as how to plan your road trip, a road trip calculator, food tips, games and songs, and some idea and routes for road trips in the US. OnTheWay is a handy tool for finding places to stop on the way while on a road trip anywhere in the world. It doesn’t feature big and famous attractions such as national parks or museums, but rather focuses on place to eat, places to shop, interesting stores, beaches, etc. As opposed to many other websites in the genre, this one features a beautiful and easy to use interface. All you have to do is provide your starting point and destination (and more points on the way, if you want), and OnTheWay will offer possible routes, which it will also divide into legs for you. For each leg it will list interesting place to stop, which you can add to your trip or read more about in Foursquare. One of the most random factors in any road trip is the weather. You can plan a perfect trip, but at the end of the day, the weather has a final say on everything. With Weather Underground’s road trip planner, you can see what weather conditions to expect while on the road. If you’re planning a long trip, the best thing to do would be to log into Weather Underground every day or two, and enter the planned route for the upcoming day. This way you’ll head out knowing exactly what to expect. Food is one of the most important aspects on a road trip. Stopping at McDonalds or Pizza Hut every night may be easy, but prevents you from experiencing the actual food people eat in every new place you reach. Roadfood aims to solve this problem, by providing non-franchised regional places to eat along highways and in small towns and cities (US only). The site includes place to eat sorted by region, interesting eating tours and even a recipe index. TripAdvisor is a huge website where you can find pretty much anything about any place in the world you wish to visit. While not made specifically for road trips, there is one feature in TripAdvisor which is a great help in finding attractions. In the trip planner, choose “Things to do” and type in a name of a place. Before you even get actual results, you will already get suggestions for the biggest attractions in that place, which you can use for further research and reading. The site also includes many useful articles about travel. While most planning websites offer travel in the US and Canada, Australia is also a compelling destination for road trips. Australian Road Trips offers 17 road-trip ideas, complete with full itineraries and tips on where to stop and what to do. You can screen through the trips by interests and driving skills. The website is a great source of information, which you can use as it is or mix and match to plan your own trip. Another aspect which can make or break a good road trip is music. The right music can do wonders to long driving hours, and preparing a good playlist is a must. OK Go (an American alternative rock band) recently hosted a road trip playlist contest on their blog. While the contest itself is probably over, the page is still a great source of songs to add to your road trip playlist. Check out OK Go’s suggestions, and then browse the comments for ideas from other users. 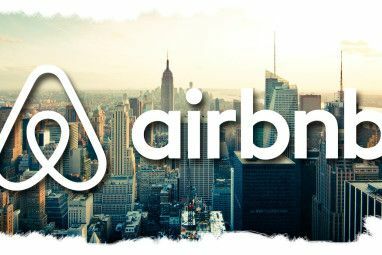 Airbnb is not right for every road trip, but is a good way to go if you’re planning to stay in several cities on your way. 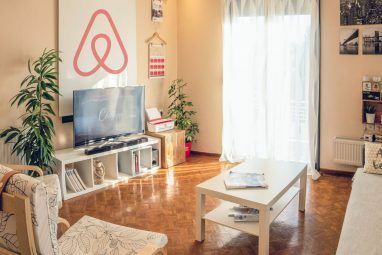 If you don’t already know about it, Airbnb is an accommodations portal, where people offer up their extra room and where travellers can find a place to crash for cheap. You can find places to sleep all over the world, save money, and get to know people who actually live at your destinations. This is also a great way to find interesting things to do locally, which only actual residents know about. Do you know of some more great road trip planners, tools and tips? Share in the comments. http://www.RoadTripJourney.com is a great site for planning road trips. It lets users add destinations and locations along the road and share them with others. That looks like a nice one, thanks! Magnificent items from you, man. I've be mindful your stuff previous to and you are just too great. I actually like what you've acquired right here, really like what you are stating and the way in which by which you say it. You make it enjoyable and you still care for to stay it smart. I can't wait to learn much more from you. That is really a great website. 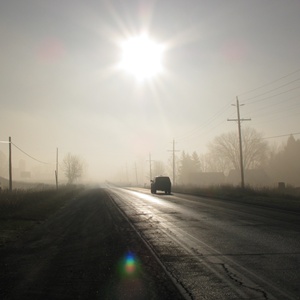 Another great resource for road trips is "Are We There Yet? - Your Guide to Road Trip Safety, Savings and Fun". Over 50 pages of convenient checklists, travel tips and free resources that reduce the cost and stress of taking a road trip. You get immediate access and no email address is required. Hello. Good article, how about http://mylocalcanada.ca. It's got all kinds of information for each city in Canada like news, weather and events. Thanks for the link! I'm just in the process of planning a trip to Canada, this will come in handy. Great selection of tools Yaara. My problem with these is that you have to go through several websites to plan your trip. One website plans your route only. Then you have to move to another to find accommodation and finally you move on to TripAdvisor to look for things to see and do. I'd like to see a tool that can deal with all these three steps at once. I haven't found a perfect solution yet. Personally I'm using http://tripomatic.com to do most of the work. You can pick what you want to see and do on a map, find your accomodation along the route, create a day-to-day itinerary and print it out. It does the job quite well for me. That's a great website, too bad I missed it! I'm also planning a trip right now, and it is pretty hard to use multiple websites, but at the end of the day, I need to use AirBnB for accommodations, VIA rail for trains, etc., so I can't do everything from one website anyway. But yes, I sure do wish there were one website that provided a solution to everything in one single place. Thanks for triptomatic! hey guys! Check this out....I have tried*vehiclecommercial (dot) com* myself, they have some genuine get paid to drive programs. Looks like a great website, thanks! http://www.plan-your-trip.com domain has expired. Date/time URL checked: 19.03.2012: 20:42. Looks like you're right. It was working fine when I was writing the article. Too bad they let it expire just now. Hopefully they will renew it, they had a pretty good planning tool.